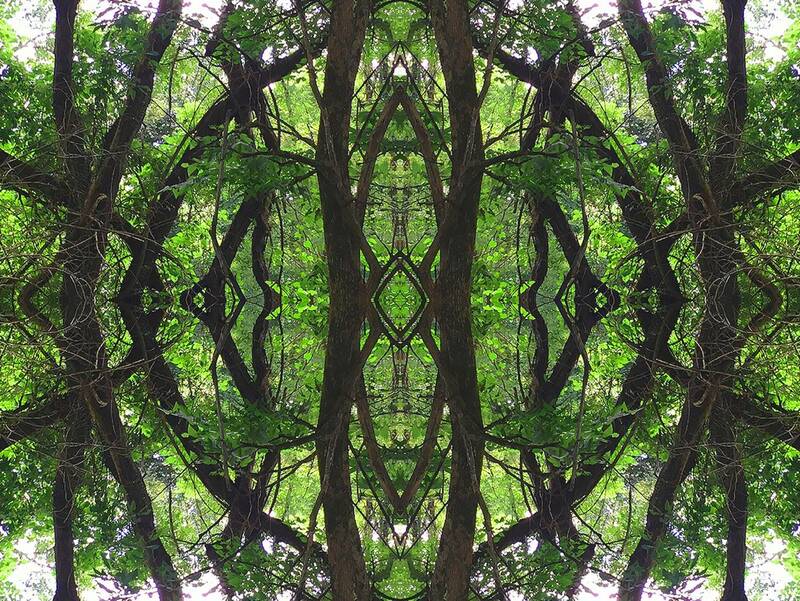 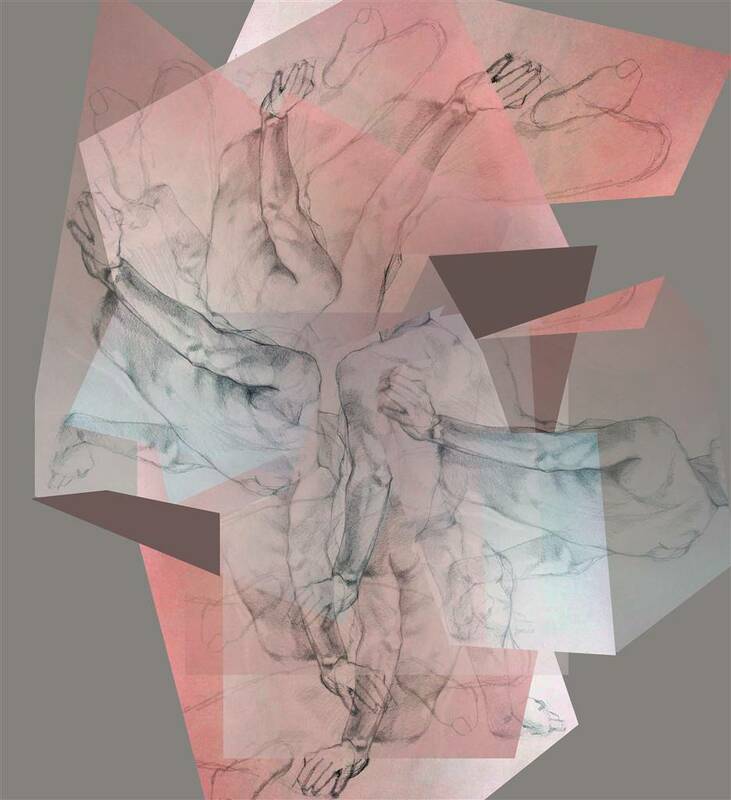 In her digital works printed on aluminum, artist Stacey Dolen mines her personal history with physical trauma and transformative healing to create layered compositions that draw from nature. 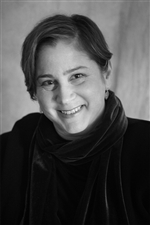 As a psychotherapist, Dolen is keenly aware of processes of psychological growth and personal development and works to identify the ways in which experience drives behavior. 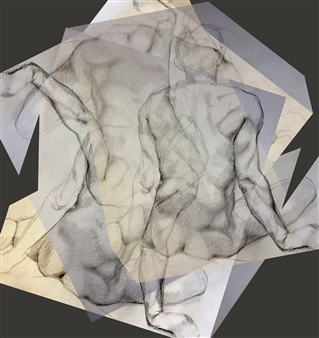 In her own work, she considers how the past shapes perceptions of the present, and how this acknowledgement is capable of giving rise to new visual forms. 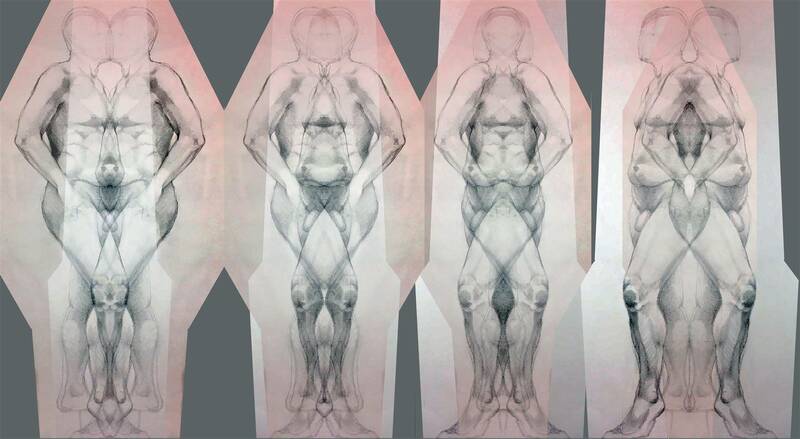 Underlying themes of physical vulnerability and psychological resilience recur in Dolen’s works that image the environment and human anatomy as vehicles to reflect on processes of birth, growth, death, and regeneration. 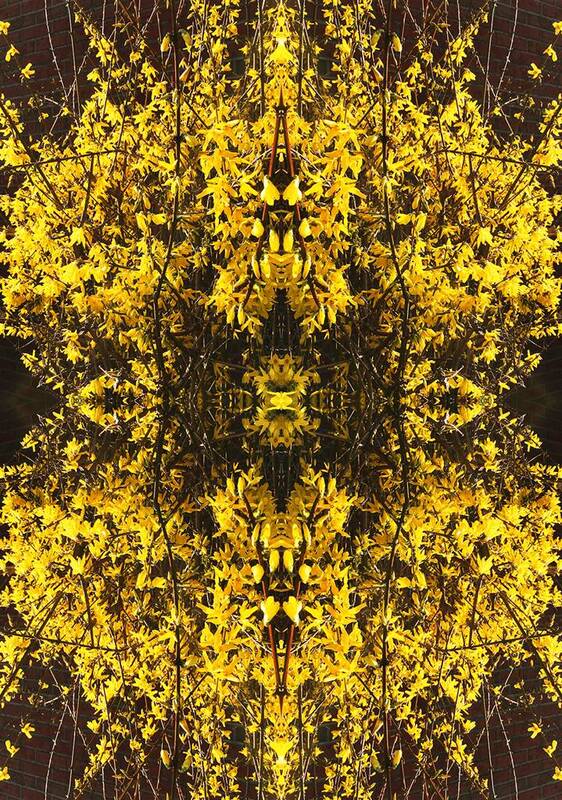 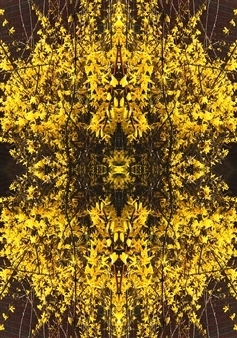 In her kaleidoscopic works titled Forsythia and Through the Trees, Dolen celebrates the variety and complexity of organic forms. These prints are an homage to the magnificence of the natural world and call attention to the vulnerability of nature at a moment when climate change and environmental degradation threaten our future. Meanwhile, works such as Janus and Transcending Planar Space 1-2 feature spare, graphic compositions. 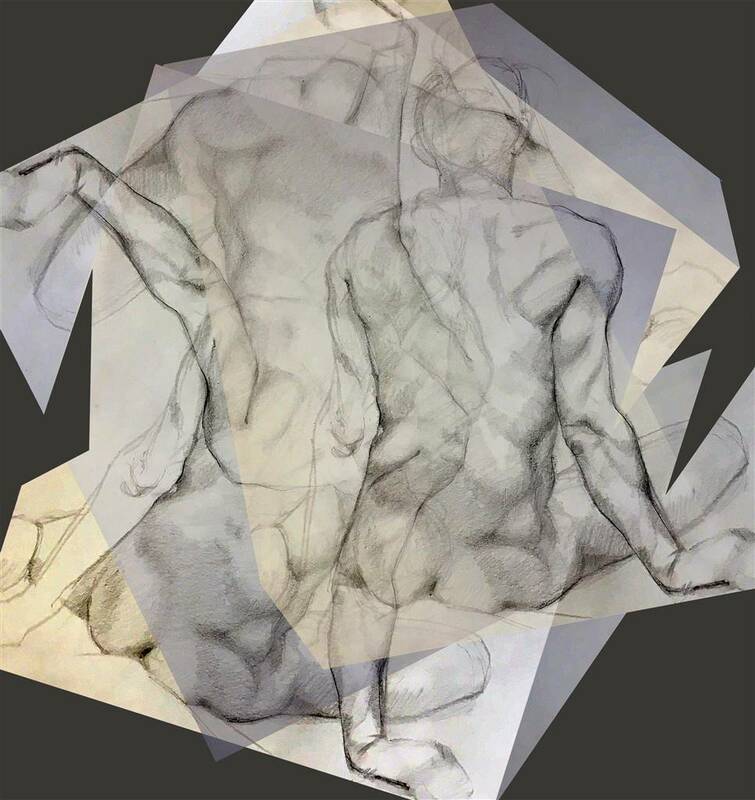 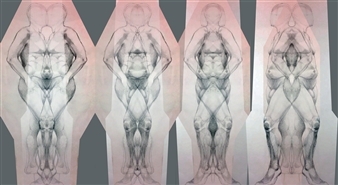 Fragile and elastic, decaying and regenerating, these digital prints render the human form as a terrain for exploration.